Rusty Jabour with hair (courtesy of Christine LeBlanc)! 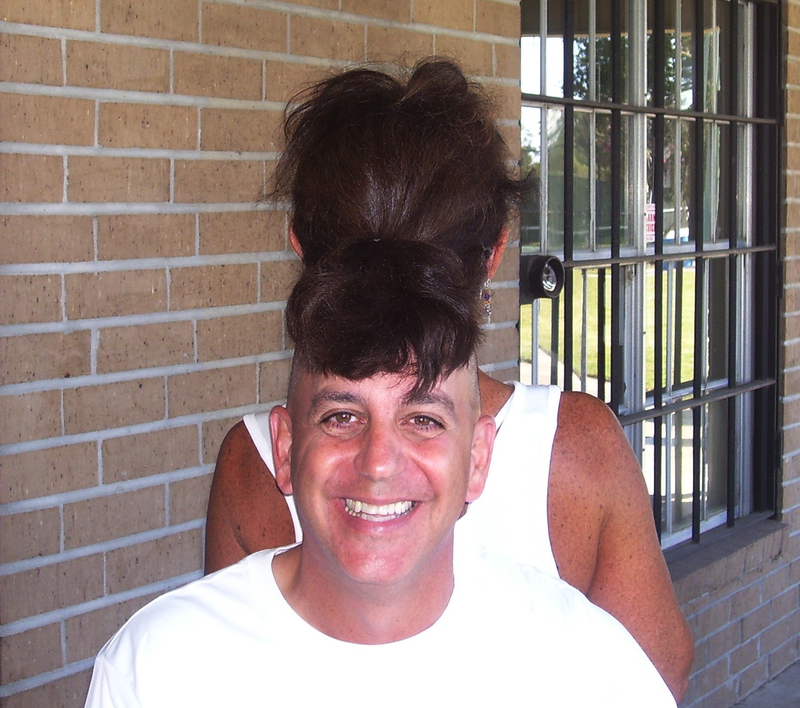 Christine LeBlanc (back) had a bit of fun with HPTA President Rusty Jabour recently, "lending" him some hair for his bald head! Rusty calls it the 'Reverse Mullet" look, which he predicts will be all the rage in 2011-12. Players who attend the HPTA Saturday Round Robins always get a kick out of Dennis Landon (once an avid tennis player himself), and his loyal companions Bree and Codi. After a long walk around Highland Park, the dogs truly enjoy a complete wash-down with the hose behind the park building. While most dogs RUN at the sight of water or the thought of a bath, these adopted strays literally wait their turn patiently. We will post video soon so you can see for yourself. 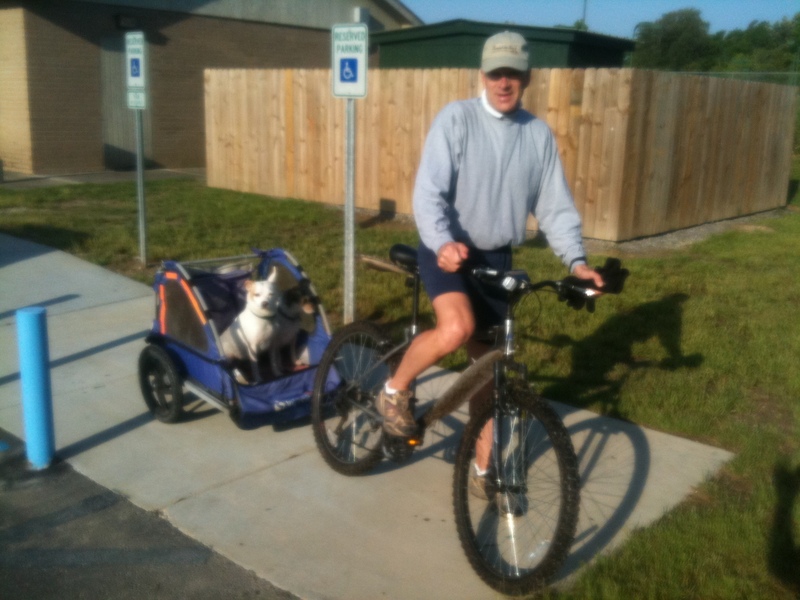 Meanwhile Dennis' obedient friends just hopped into their cart and rode off happily! Who needs pockets when you've got a mouth like this? 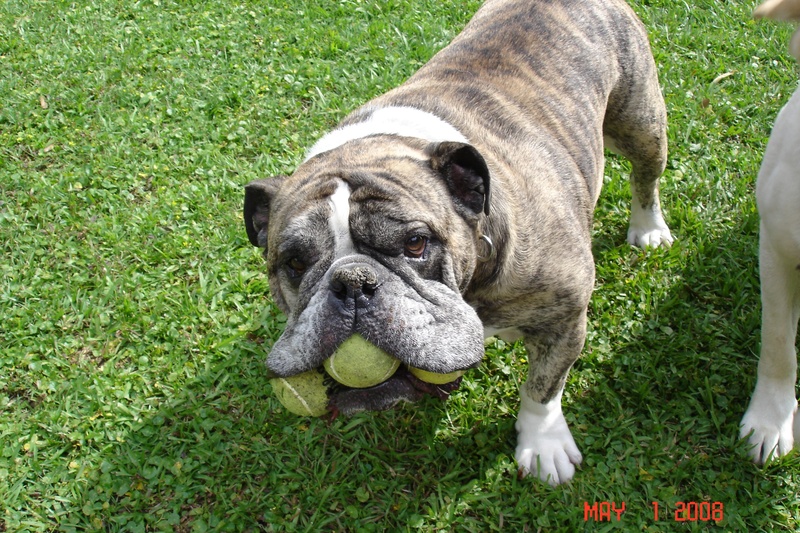 Lisa Sanner's neighbor, "Edgar," demonstrates a different way to carry tennis balls. Of course, his opponents might need to call a "wet let." And, in case you were wondering, Edgar is named after the (in)famous longtime FBI Director J. Edgar Hoover. Wendy Parrish, our vice president, went a little "quacky" recently, feeding the ducks at the YMCA before a big match.